Before I had kids, I was wearing 5 inch heels everyday. Now that I am a mom, I care more about the comfort factor because I am running around all day long. 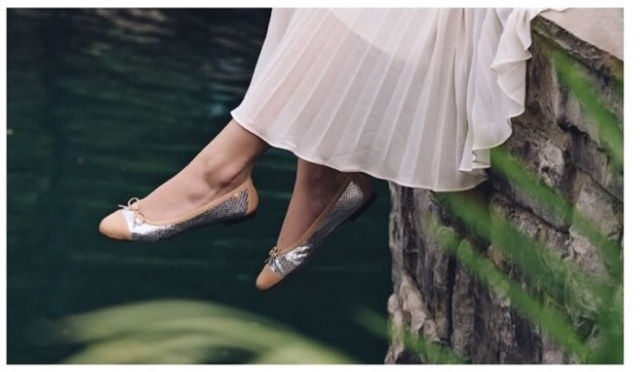 I first learned of Julie Lopez shoes through Instagram. 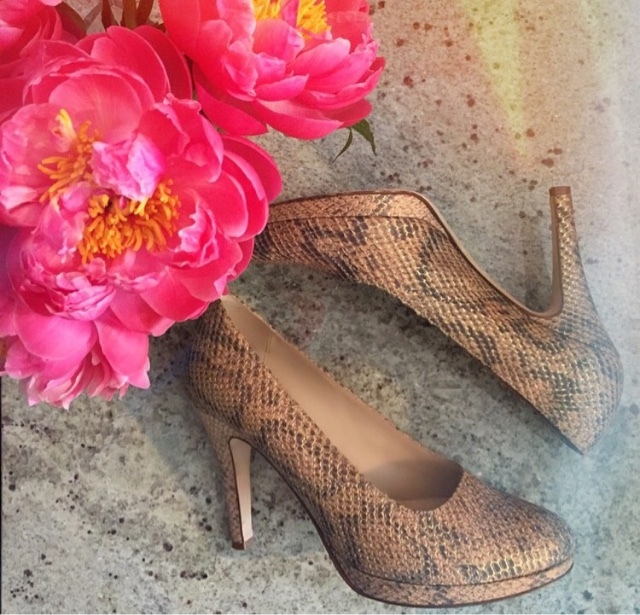 I was flipping through my feed, when I came across those beautiful snake print pumps pictured above. The caption read "Beautiful Heels Without the Pain". 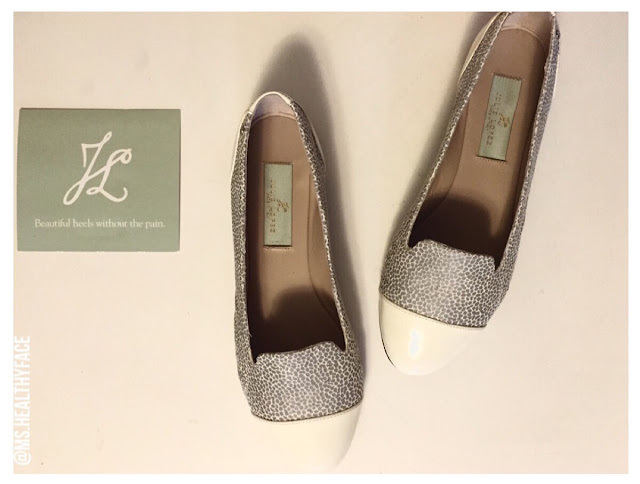 I commented on how pretty the snake print was, and then Julie Lopez reached out and offered to let me test out their beautiful made-in-Italy leather shoes. Unfortunately, my feet are too small, and at this time, Julie Lopez does not offer my 4.5 wide shoe size. 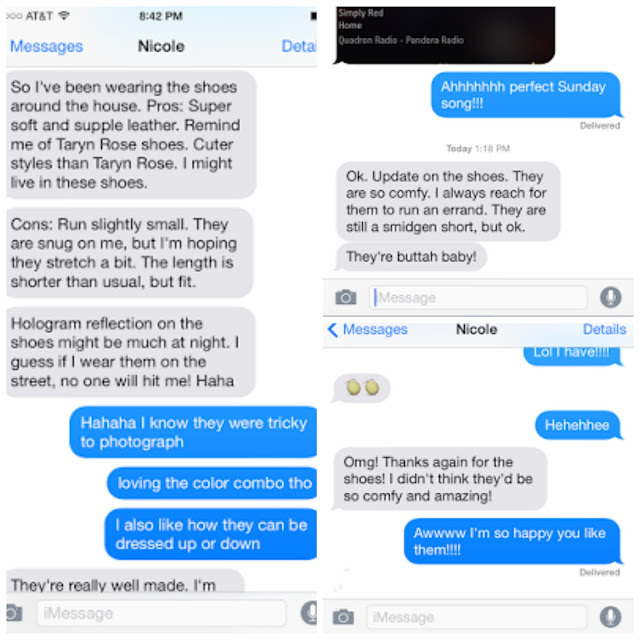 Luckily, my best mom friend/cousin, Nicole, wears a size that Julie Lopez offers. Nicole was the first person to come to mind when I needed a shoe model because she has worked with high-end shoe labels in the past, and so she knows what to look for when judging shoe quality. Julie Lopez shoes are made from "premium Italian leathers that are hand-selected for all components of the footwear to provide the best combination of flexibility and support". The shoes are designed with a wider toe box, and "a combination of side vents and elastane-backed leather to enable the foot to breathe and the vamp to stretch in problem areas" aka where women often develop bunions. The heel styles also have extra padding in the forefoot area. All the shoes have non-slip pads on the soles, too! All in all, Nicole thought the shoes were "like buttah" and liked Julie Lopez' styles compared to other comfort-based shoe brands like Taryn Rose. She thinks they run a little small - so, I suggest ordering half a size up. We both agree, that working women would appreciate that Julie Lopez offers comfortable, office appropriate footwear. 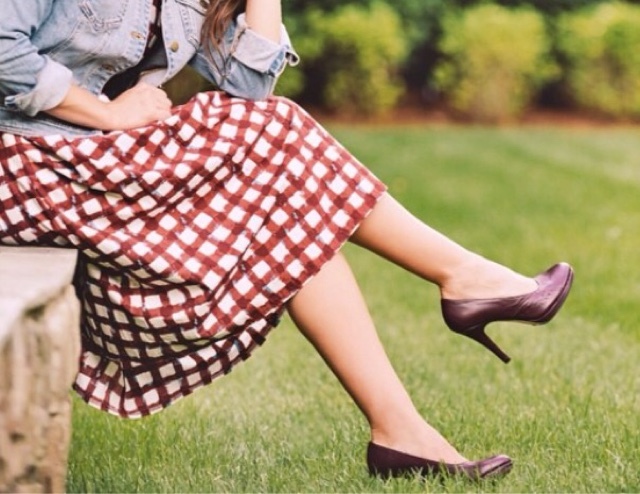 A good pair of work flats and pumps are staples in every woman's closet. I am obsessed with the snake prints -- super cute and super versatile! I hope Julie Lopez will expand to smaller sizes, too, because I definitely need a pair of their pumps, and boots, too! Heel pain is one of the most common complaints affecting the feet, and the causes can be highly varied. This article highlights some of the main heel pain causes, including plantar fasciitis ad heel spurs, by far the mos common heel pain condition.I find this website for Shoes for Heel Pain you can visit this site.